Beginning with the simultaneous demise of the Alto and Splash models in 2016, the roomy and frugal Celerio arrived and was followed shortly after by the impressive Baleno. Recently, it was the return of the Ignis name in the form of a quirky but refreshingly different micro-SUV – pure character on wheels. 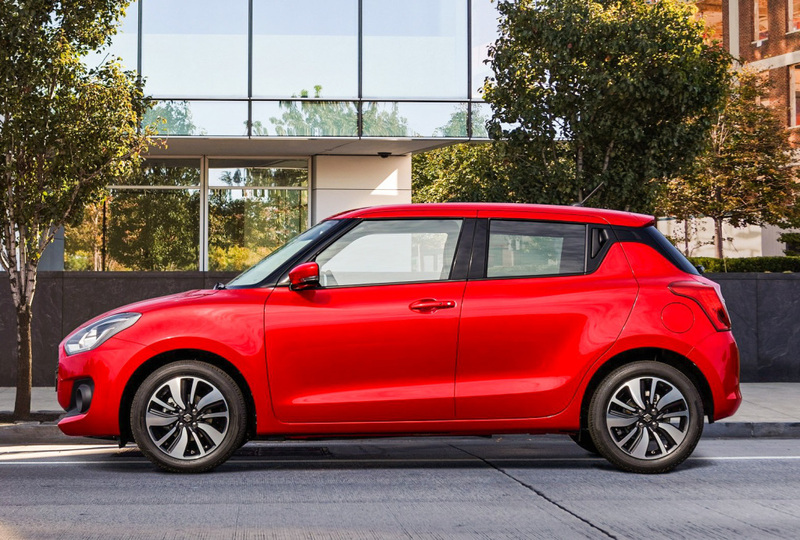 The latest product of that plan, the third-generation and all-new Suzuki Swift, arrived last year. It rides on the recently developed 'Heartect' lightweight platform first introduced under the Baleno and Ignis. This new platform is 30kg lighter which has contributed to the lightest Swift in the new line-up registering a kerb weight of just 890kg, which is 104kg lighter overall – impressive, considering no one realised the excess weight was there in the first place. Suzuki's engineers have also spun their magic on the new car's dimensions. The Mk3 Swift is 10mm shorter overall than the outgoing model, but its wheelbase is 20mm longer. 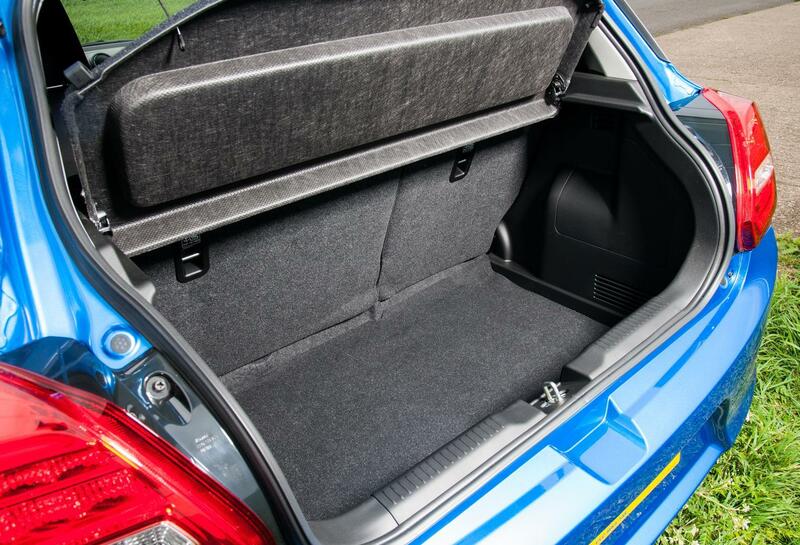 Tucking the wheels even further into each corner means more interior room, including a 20 per cent bigger boot at 265 litres, or 54 more than the outgoing Swift. The new car is also 15mm lower and 40mm wider, which accentuates its bullish stance. In the current Suzuki UK model line-up, the new Swift slots between the funky Ignis and more sober Baleno. Swift models for the UK and European market are manufactured at the company's Sagara plant in Japan. 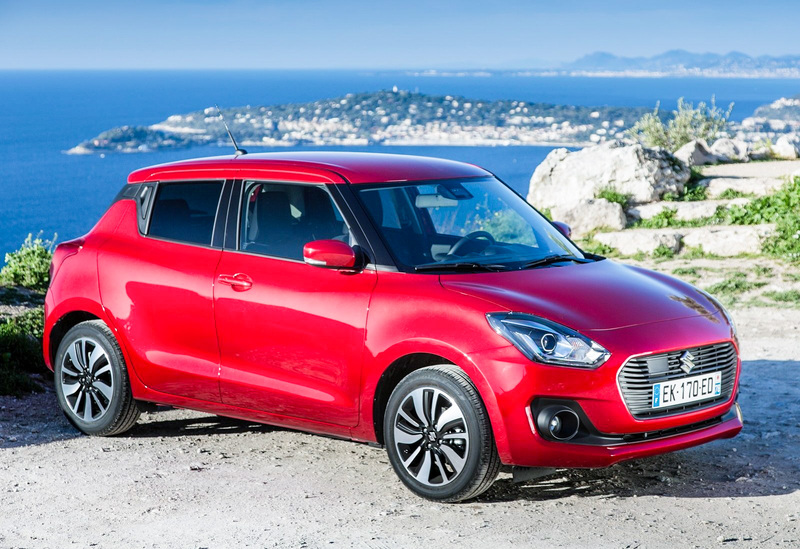 With 5.4 million Swifts sold worldwide since 2005, Suzuki knows a cash cow when it has one. The 2017 Swift is a familiar shape and a very much smoothed-off, buffed evolution of what went before, with the wrap-around windscreen, similarly shaped light clusters and the sloping roofline. It certainly makes a statement with its aggressive grille, muscular arches and very distinctive shoulder line. The blacking out of the entire A- and B-pillars along with the top half of the C-pillar, makes the roof appear to 'float'. Suzuki discontinued the three-door Swift model in most markets because of low take-up and, while the Swift in the photos might at first appear to be a three-door, the more eagle-eyed will have noticed that the rear door handles are concealed in the black plastic trim on the C-pillar. 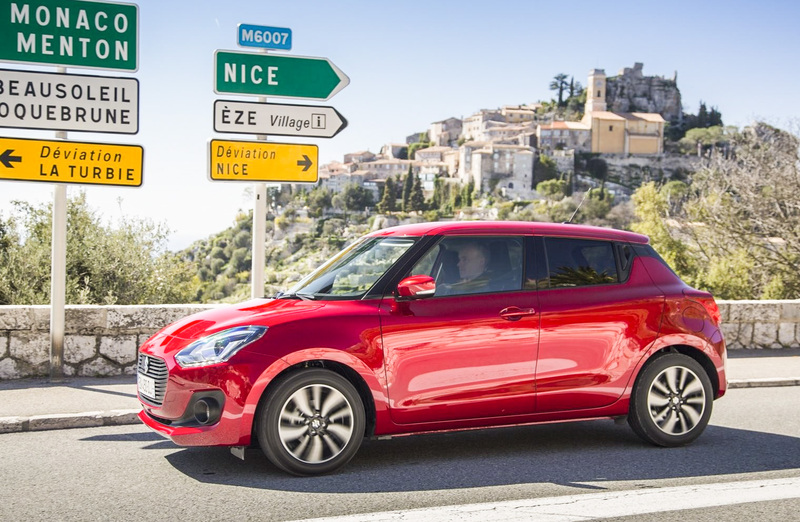 In the UK, the new Swift offers ten fashionable exterior colours – including three dual-tone variants – and full personalisation options both inside and out and, in doing so, targets a more youthful demographic. The good work done by the exterior designers is mostly continued on the inside. 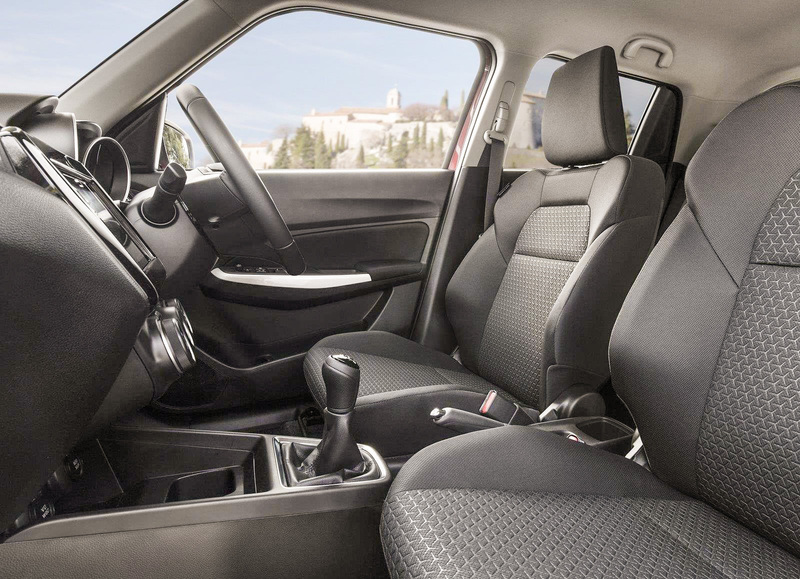 The interior has been completely redesigned and features a new dashboard with a V-shaped layout and revised A/C vents. 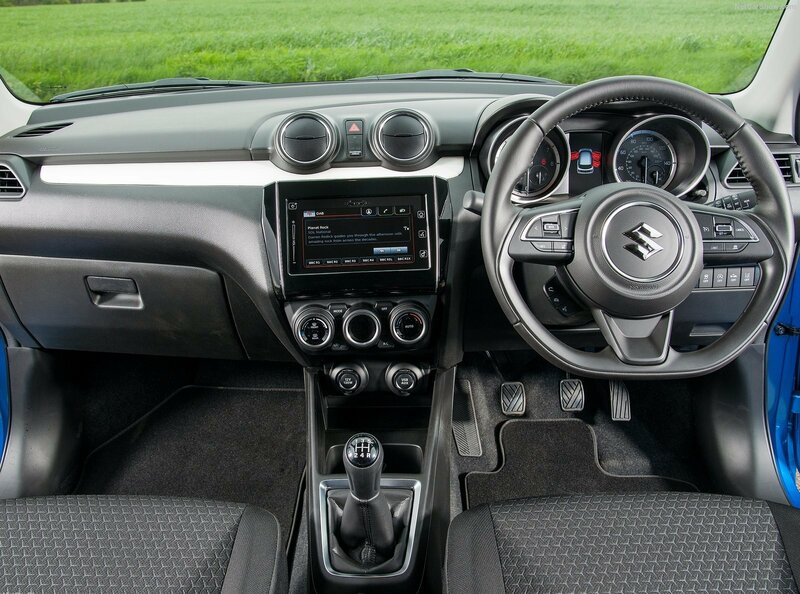 The dash design is okay but nothing like the trendy effort given to the Ignis. Below the air vents is a seven-inch touchscreen replacing the radio unit and numerous buttons and knobs found in the previous Swift. The manual HVAC controls just above the centre console are also new, now including modern buttons with new graphics. 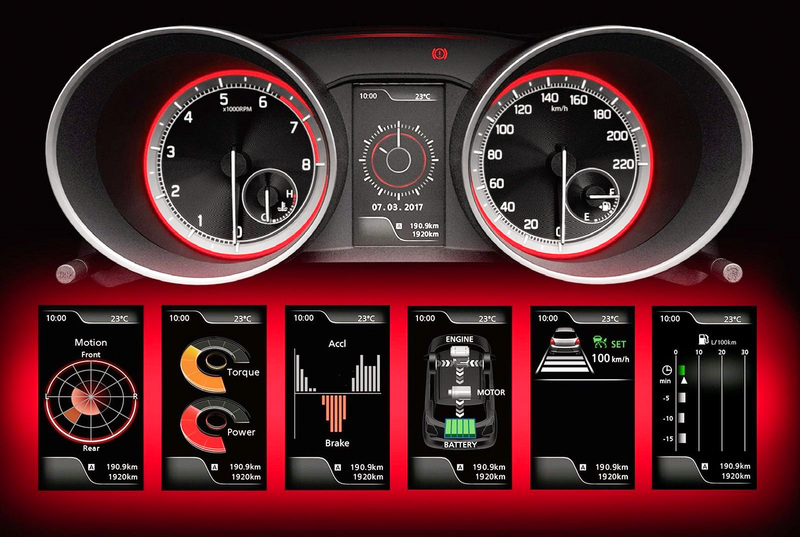 The instrument cluster is an improvement and now features separate covers for the speedo and rev counter and a new digital display in the centre. The steering wheel has a round centre section with chrome detailing, sporty grip areas and a flat-bottomed lower section. 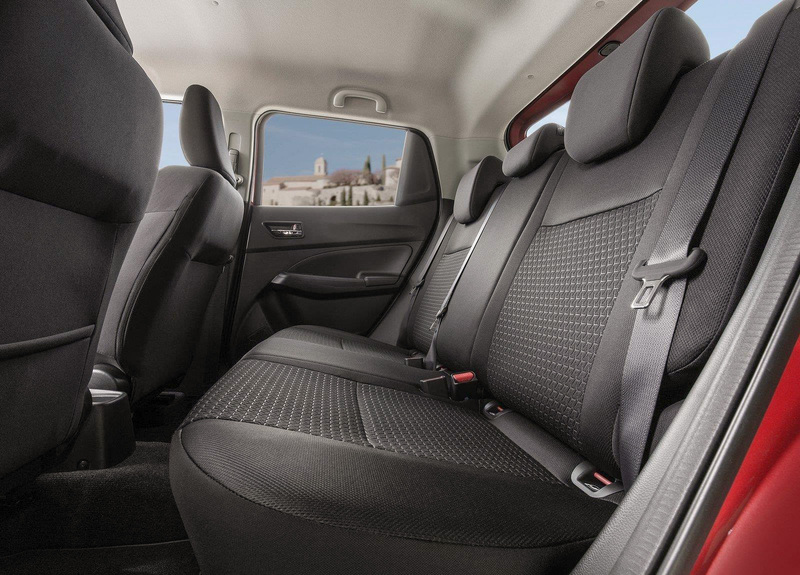 There's more interior room, comfortable front and rear furniture and a bigger boot to aid practicality. However, plastics deployed in critical touch zones look and feel a tad low-rent. The new Swift is available in three trim grades; SZ3, SZ-T and SZ5. Standard on the entry-level SZ3 are six airbags, air conditioning, DAB radio, privacy glass, LED daytime running lights and Bluetooth. If you happen to reside in a rural area and you need some all-weather capability then Suzuki's excellent on-demand AllGrip 4×4 setup is probably a good choice, but it is only available with the top SZ5 model. As the Swift isn't meant for proper off-road driving, the AllGrip system is more of a safety feature and will improve traction in mud, gravel, slush and snow. At its pan-European launch in Monaco, two petrol fuelled engines were available to drive, coupled to five-speed manual and six-speed automatic gearboxes. The first, a naturally-aspirated 1.2-litre four-cylinder 89hp Dualjet engine offers CO2 emissions of 98 g/km and combined fuel consumption of 65.7 mpg. This engine is carried over from the previous Swift, but deployed in the new Swift 'lite', it offers noticeably more poke and delivers more entertainment than before, which is good news. The real star of the Mk3 Swift show is the cracking 109hp three-cylinder 1.0-litre Boosterjet engine, which combines and official 61.4 mpg with CO2 emissions of just 104g/km. This engine is also available with Suzuki's SHVS mild hybrid system (Smart Hybrid Vehicle by Suzuki) with CO2 emissions of 97g/km. It loves a good revving and shows willing throughout the gearbox range. Both engine options drive the front wheels through a five-speed manual as standard, while the six-speed automatic and Suzuki's excellent ALLGRIP 4WD are options with the four-cylinder 1.2-litre Dualjet. The three-pot turbocharged Boosterjet engine, with its 109hp output is 21hp more than the larger capacity 1.2-litre Dualjet unit, making the smaller-engined car faster to 62 mph by 1.3 seconds, yet it returns 61.4 mpg and 104g/km CO2 in standard form. Add in the SHVS hybrid assist and the Boosterjet matches the 1.2 on fuel economy and is a shade better on emissions. Best of all, it's an engine that shows eagerness and willing – it pulls strongly from low down the rev range (like a petrol engine shouldn't) which proved a boon around the mountainous roads and hairpin bends of the launch location in Monaco and along the French Riviera. You don't spend your time thrashing the three-pot Swift just to keep up with traffic. It's decently quick through second and third gear of the excellent five-speed manual gearbox. The car rides well and smothers the worst bumps, though extended lengths of uneven surface can make it a little skittish at the rear. Its cornering performance is excellent – the Swift turns in exactly where aimed and maintains its poise with good feedback from the wheel and little discernible body roll. 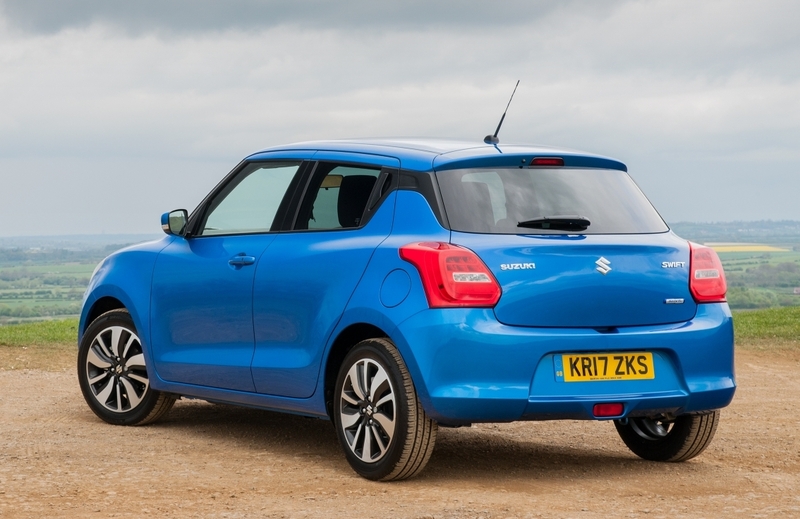 The Suzuki Swift has always been an easy car to like and this latest iteration continues to attract. With its smart design that builds on the cute looks of its predecessors and some appealing efficiency figures, the new Swift is a genuinely capable little car. Not only does it cover all the important city car bases – it's efficient, comfortable, good looking and well equipped – but it's just as fun to drive as the class-leading Ford Fiesta. But, touch-critical areas of the interior are no better than the class average and, to a lesser degree negate the good work done elsewhere on the car. Overall, the new Swift remains one of the best small hatchbacks around. The driving experience, running costs and equipment levels make it a superb buy and it continues to do well in a busy class where it's notoriously difficult to stand out. 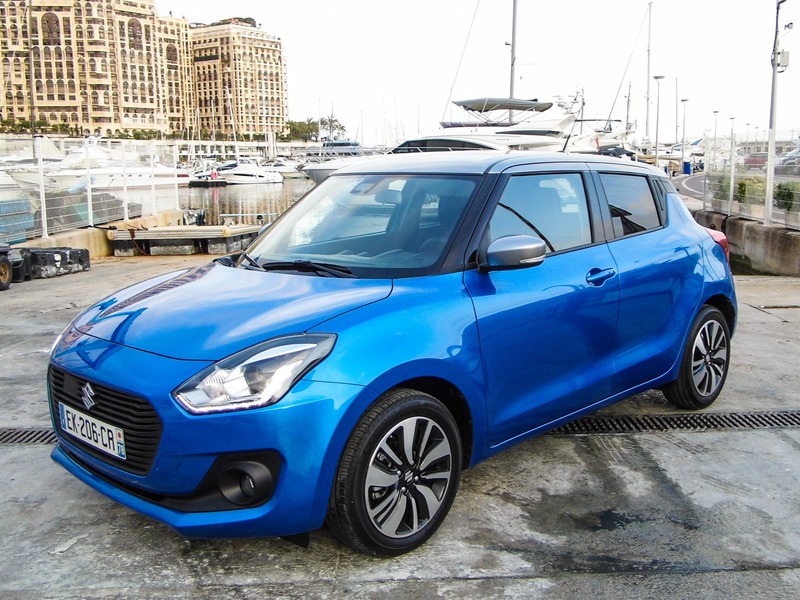 ➤ Check out our special / limited stock offers on the new Suzuki Swift here, then call our award-winning Customer Service Team on 0800 043 2050.